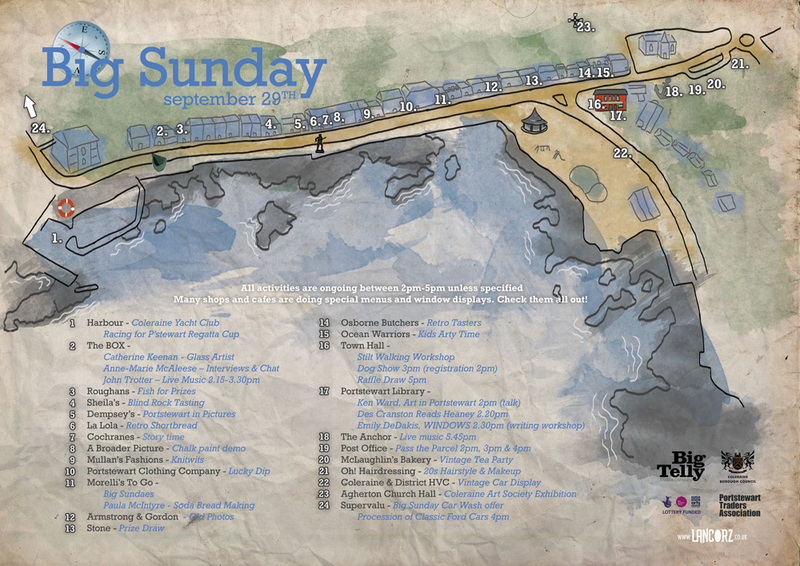 This week I was commissioned to create a map of the Portstewart promenade for #bigsunday in the style of Winnie the Pooh’s 100 Aker Wood. Here it is, if you’re free this Sunday 29th September. Feel free to come along and join in the fun on the promenade, as you can see – there’s so much available! Click here to download a full size printable version of the map.